This module is part of the Yin Yoga Teacher Training but is also open to other interested yoga students, bodyworkers and healing professionals. Join us in welcoming the wisdom of special guest Sean Going, LAc, MacOM, Doctor of Traditional Chinese Medicine who will share an introduction to Traditional Chinese Medicine (TCM) & meridian theory. As a practicing acupuncturist Sean is passionate about using Asian Medicine to assist his clients as they discover vitality of mind, body and spirit. Sean will support your “dive into YIN”, to better understand the language-ing and thematics of YIN Yoga’s Taoist roots & medicine system. 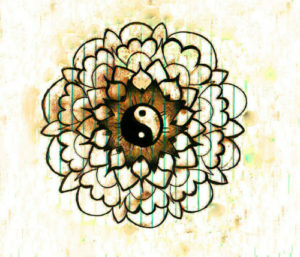 After Sean’s talk you’ll experience a YIN Yoga practice with Liza Dousson incorporating aspects of these foundational ancient medicine roots – including how YIN Yoga’s methodology of traction & compression engages acupuncture’s “cousin” acupressure – to enhance the rebalancing and revitalization of body/mind/spirit. Enhance your own personal YIN Yoga practice, and as a Teacher gain examples of how to bring the topic into your class offerings in an engaging, meaningful way.